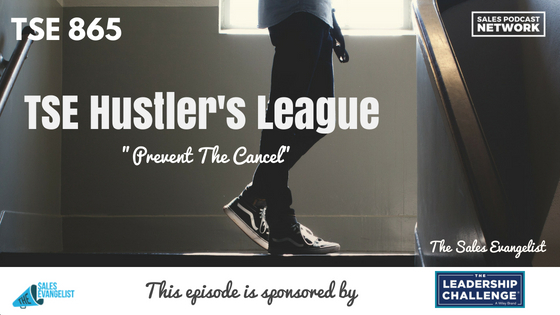 TSE 865: TSE Hustler's League-"Prevent The Cancel"
On last week’s episode of The Sales Evangelist Hustler’s League, we heard from a member who was caught off-guard when a customer he thought was happy canceled their contract. We sought ways to help him identify what went wrong and to prevent the cancel from happening again. 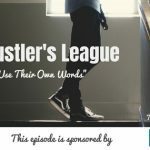 As you know, on each episode of The Hustler’s League, we devote the first 15 minutes to a Mastermind. One of our members’ lands in the hot seat to discuss a problem he needs help. In this case, we sought to help him determine what went wrong. We also reminded him that sometimes things are outside of your control. We also tried to answer what sellers can do when the problem is within their control. Following the cancellation, our Hustler’s League member hadn’t had a conversation with his client. He was frankly dreading the idea, but he wanted to resolve the situation and put it behind him. One of the recommendations our group offered was to get the client on the phone to address any fears she might be having or any concerns that had developed. Because she’s a realtor who recently had a baby, perhaps she didn’t have the cash flow to pay for those services. If you can get the client on the phone, in many cases you can walk her off the ledge. Sometimes clients feel uneasy and our reassurance can help. It’s easier to keep an existing customer than to find a new one. Set rules before you play. My friends and I who play flag football learned this the hard way. When this client hired someone to do her marketing, she may have had unreasonable expectations. She may have assumed she would get emails and listings immediately. Never send over the agreement or proposal without first reviewing it with the client. I use PandaDoc and the screen share function to make sure there are no hiccups. At the point in the process where we’re prepared to enter the contract, I ask for 5 minutes so we can review it. If they have expectations you aren’t aware of, you can identify them quickly. You’ll eliminate a lot of confusion. If the situation isn’t recoverable, use it to develop your business. Ask the client whether she has five minutes for a phone call. Offer to buy her a cup of coffee. Tell her you’re always seeking to improve and ask for her feedback about your work together. Does it make sense to narrow the industries you work with? If you’re losing money because of the time you’re investing to learn each new industry, perhaps you should limit the ones you work with. Should you choose larger clients? Rather than individual realtors, consider working with brokers who have multiple agents. In this case, our member recalled that he had always reviewed documents with clients in his last position. He had not thought to do that in his own company. We share these things with you because we want you to be successful. To find more ideal customers. We want you to build stronger value and close more deals. Most importantly, we want you to do big things. Tell others you know about our podcast, and subscribe if you haven’t already. Tell them about The Sales Evangelist Hustler’s League as well, an online group coaching program that brings sellers of all levels and all industries together to share insights. Leave us a review wherever you consume this content so it will be easier for others to find us as well.